Know a real Mediterranean coast village living in a fantastic house in the center of Jávea. Sun and Co. is the first coliving and coworking community in the whole Mediterranean Coast. A perfect place for freelancers, entrepreneurs, location independent, digital nomads and anyone looking for a great work and leisure balance. 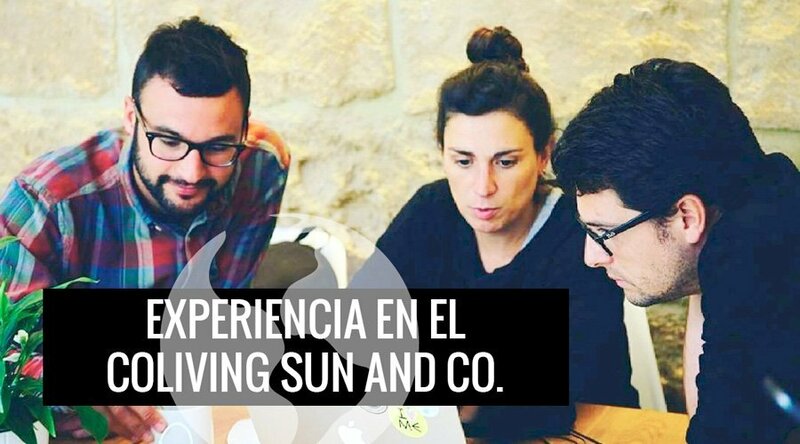 Sun and Co. is formed by like-minded people sharing living and working space, ideas and fun. A real co-living experience with all under one roof in a 19th-century house located in the center of Jávea, a historic seaside town in Spain. The perfect venue for your team’s offsite or company retreat in Europe. Focus and be more productive while enjoying one of the best climates in the world and meeting people from all over the world. You can read more about our Remoters experience at Sun and Co. (in Spanish). My experience at Sun and Co.